These steps assume that you've installed all available Java updates to bring Leopard up to Java 6. Check which version of Java is set as primary. 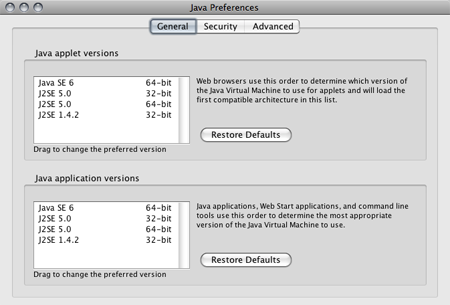 If you see version 1.5 or lower, you'll need to update your Java preferences. If you see version 1.6, skip to step 4. Open /Application/Utilities/Java/Java Preferences. 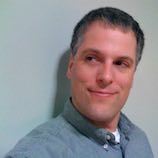 Drag and drop Java SE 6.0 to the top of each list. Check the Java version again, you should see 1.6 now. Download the jqueryWTP patch from SourceForge. Double-click jqueryWTP0.2forJQuery1.2.6.jar to run it. Click the Generate button. You should see a "generate success" dialog. Fire up Eclipse and give it a try. Start typing jQuery and hit Ctrl + Spacebar to display completion suggestions. An additional requirement for installing jQueryWTP for Eclipse on Mac OS X 10.4 is X11. If you don't have X11 installed, you can get it here. You'll need Java 6 to run the patch file. Use these instructions to install the SoyLatte Java 6 port. Download and save the jqueryWTP patch from SourceForge to your Desktop. Fire up X11, source your .profile to load add JRE 1.6 to your PATH, and run the jqueryWTP patch from the terminal. Fire up Eclipse and give it a try. 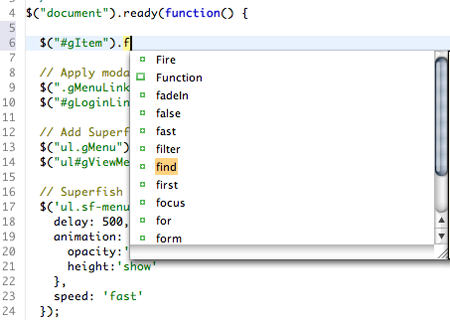 Start typing jQuery and hit Ctrl + Spacebar to display completion suggestions (see the screenshot above). I hope this helps other jQuery developers out. There are also patch files for ExtJS, jQuery UI, Prototype, and YUI which you might try too.